Fire suppression systems developer Reacton delivered a talk on their products at FIREX 2018 and we captured the footage, which you can watch below. 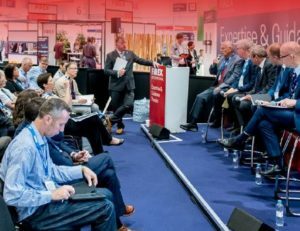 Covering certification, testing and installation the presentation took place in the Sprinkler Zone, which made its debut at FIREX 2018 at a time of soaring demand for these property and life-saving technologies. It also formed part of the ‘Show Me How’ campaign launched for the first time at IFSEC and FIREX 2018. Reacton Fire Suppression systems are completely pneumatic and independent of any outside power source. Various suppression agents are used in conjunction with high-grade components to suppress fires in a wide range of environments. Recognised and approved by major insurance companies, the Chelmsford-based company is fully accredited and tells customers they can get lower insurance costs in return for their investment.